For Truman Lake, Lake of the Ozarks and the Osage River (below Bagnell Dam). The 2019 paddlefish snagging season opens Friday, March 15, and runs through Tuesday, April 30. 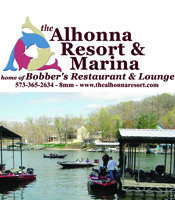 Weekly snagging reports for Truman Lake, Lake of the Ozarks and the Osage River will begin after March 19 and will be posted on Wednesdays. Updates are based on field observations from biologists and Conservation Agents. Thanks to all the snaggers who have reported tagged paddlefish. We need your help again this year. Please continue to report all tagged fish. Yes, you can keep the silver jaw tags, we will need a picture of the tag or if you send it in, you’ll need to flatten it and we will send it back to you. Please do not remove tags from sublegal fish. Reporting tagged fish will help us monitor and better manage paddlefish, together we can keep paddlefish snagging great for many years to come. This past winter, biologists have been out tagging paddlefish on all three reservoirs and in the rivers. We’ve tagged fish up to 107 pounds; and are seeing a lot of nice fat healthy fish. There has been a lot of discussion regarding “catch and release” snagging. Unlike other species of fish in Missouri, the catch and release of legal paddlefish, any fish of legal length, is not permitted. In other words, once a legal paddlefish is caught, that fish is to be retained or kept by the angler and included in their daily limit, they cannot be released. However, all sublegal (fish less than the legal length limit) paddlefish must be released unharmed immediately. Once two legal paddlefish are caught they are to be retained by the angler and included in their daily limit. Please remember that on Lake of the Ozarks and its tributaries, Osage River below U.S. Highway 54, and Truman Lake and its tributaries, no person shall continue to snag, snare, or grab for any species after taking a daily limit of two (2) paddlefish. Be sure to check the Wildlife Code of Missouri for paddlefish regulations. We are seeing more bank snaggers. When operating a boat near bank snaggers please be conscientious of them. Please slow down and give them space; running into their line risks pulling them into the water. Everyone needs to stay safe. If you have any questions call 660-530-5500 or email Trish.Yasger@mdc.mo.gov. MDC is conducting a long term study to improve paddlefish management. Please report all tagged paddlefish that you catch. Participating qualifies you to enter a raffle for up to $500.00 Find out how to participate. Snagging is very dependent on weather conditions, primarily water temperature and flow. When water temperatures reach 50–55F and flow increases, paddlefish migrate upstream to spawn. Early in the season harvest is primarily made up of “local” fish, smaller males and immature females. As water temperature and flow increase, the fish will move upstream in the reservoir or river. Males make spawning migrations before females, with more females showing up when water temperatures are 55F and greater. If we get a dry spring without much rain, snagging may not be as good as it has been in the past, and the fish will tend to remain lower in the reservoirs or rivers. On the other hand, if we have a very wet spring, fish will move up higher in the reservoirs or rivers. In some areas snagging may be very difficult or hazardous if flooding occurs. During flooding events paddlefish will move out of the heavy flows to wait for flows to come down. When lakes and rivers are rising due to heavy rain, logs and other debris can float downstream, and boaters need to be careful. With all of this said, I would expect that the snagging season will most likely get off to a slow start, which is what we typically see. Early in the season fish tend to be scattered out and lower in the lakes. With all the snow and cold weather that we’ve been having this winter, water temperatures are colder than normal. Surface water temperatures are in the upper 30’s. With the recent snow melt and rains, Truman Lake and Lake of the Ozarks are up, and they have been releasing from both Truman and Bagnell dams. Even though water temperatures are cold, we do have flow and some fish will begin moving upstream. The extended forecast is calling for more normal temperatures with rain the next couple of days. With water levels up and additional rain predicted the next couple of days, we may see some high-water levels opening weekend. Some predictions are calling for minor flooding. With cold water temperatures and increased flows please stay safe. Please remember the 34-inch-length limit (eye to fork of tail) on Truman Lake and its tributaries. Paddlefish make spawning runs up the Osage River Arm into the Marais des Cygnes River. Early in the season snagging is typically good around Talley Bend Access and upstream around Osceola with some finding luck downstream of Talley Bend. As water temperatures and flow increase paddlefish move upstream towards the Roscoe and Taberville accesses and above. Paddlefish can also be found in the lower couple of miles of the Sac River. During years of high water snagging can also be good in the Marais des Cygnes River all the way up to the Kansas border. Snagging is primarily done from boat; however, some anglers snag from the banks at the accesses, bridge-right-of-ways, Osceola Optimist Park and Schell-Osage Conservation Area. Best guess for opening day. Fish typically tend to be scattered out and snagging tends to be better lower in the lake. Water temperatures are colder than what we normally see this time of year and there is flow. Try the deep holes around the Talley Bend area to Osceola and above. If water temperatures and flows increase between now and opening day, you may want to consider moving up a little higher towards Roscoe and above. However, if flooding occurs the fish will move out of the heavy flows to wait for flows to come down. Talley Bend Access: go upstream towards Horseshoe Bend and up towards the Walker Hole/ Weaubleau Creek and above towards Osceola OR downstream towards Fox Run. Brush Creek Access: go downstream towards Walker Hole/ Weaubleau Creek and below OR upstream towards Osceola and above. Caution: When the lake level is at normal pool (706′ msl) and below, some people, especially the snaggers with deeper, V-bottom boats and pontoons, find it difficult to get out of the cove at Brush Creek Access. Be sure to always use caution. Crowes Crossing: to downstream towards Walker Hole/ Weaubleau Creek and below OR upstream towards Roscoe and/or go up the Sac River a couple of miles. Sac River Access/Highway 82: go down stream towards the Osage, snagging the last couple of miles of the Sac, then continue on toward Osceola and below OR go up towards the Roscoe Access and above. Roscoe Access: go downstream to where the Sac and Osage meet, then go up the Sac River a couple of miles or continue downstream towards Osceola OR go upstream towards Taberville and above. Taberville: go downstream towards Roscoe and below OR go upstream towards the cut and above. Please remember the 34-inch length limit (eye to fork of tail on Lake Ozark and its tributaries. Also, snagging is not permitted from the no-fishing zone below Truman Dam to the Highway 65 Bridge. Paddlefish primarily make spawning runs up the Osage River Arm. Most of the snagging and harvest occurs in deep holes on the upper 40 miles of the Osage River Arm. Early in the season snagging tends to be good in the Ivy Bend/Coffman Bend area around MM50 and above. As water temperatures and flows increase paddlefish move upstream towards Truman Dam. A smaller snag fishery also exists in the Niangua Arm between the mouth of the Little Niangua Arm and the Highway 54 Bridge. Best guess for opening day. Fish typically tend to be scattered out and snagging tends to be better lower in the lake. Water temperatures are colder than what we normally see this time of year and there is flow. Try the deep holes from MM55 up to the Highway 65 Bridge. Snaggers typically have better luck lower in the lake around MM55 and MM62/65. If water temperatures and flows increase between now and opening day, you may want to consider moving up a higher in the lake, towards Truman Dam. Browns Bend (around MM61.5): I’ve been told when the water is low, it can be difficult to get from the ramp to the lake since the cove is somewhat shallow and this isn’t a very large ramp, so not a lot of parking spaces. Go upstream between MM61 and MM65 and above OR downstream towards MM50. Wigwam School Access (MM66.2): go downstream towards MM62 and below OR upstream towards MM72 — Big Buffalo Creek. Warsaw (Drake) Harbor Access: you must go below the Highway 65 Bridge before you start snagging. Go downstream and start snagging below the Highway 65 Bridge (about MM89.5) and down. Bledsoe Ferry Access: you must go below the Highway 65 Bridge before you can start snagging. Go downstream and start snagging below the Highway 65 Bridge (about MM89.5) and down. Larry Gale Access — Niangua Arm: go downstream to where the Little Niangua joins the big Niangua or upstream toward Highway 54. There are numerous private ramps that you can pay to launch from. On the Osage River below Bagnell Dam, the minimum length limit remains 24 inches (eye to fork of tail). Also, snagging is not permitted from the no-snagging zone from Bagnell Dam to U.S. Highway 54 Bridge. On the Upper Osage River below Bagnell Dam, a snag fishery exists for a few miles below the Highway 54 Bridge to RM78. Typically several fish are harvested in this area opening weekend. Most of the fish harvested are in the 24-30 inch size range. On the Lower Osage River below Bagnell Dam, snagging is primarily done from a couple of miles above Pikes Camp all the way down to the Missouri River; the lower 25 miles. Occasionally we also see snaggers out in the Missouri River. Snagging in this area is typically slow early in the season. Bagnell Dam Access: you must go below the Highway 54 Bridge before you can start snagging. Bonnots Mill Access: go up or downstream. Occasionally we see snaggers out in the Missouri River. Mari-Osa Access: go downstream below the Highway 63 bridge towards Bonnots Mill and below, OR upstream towards the lock and dam. Pikes Camp Access: go upstream a couple of miles, OR downstream towards the lock and dam. Please remember — on Lake of the Ozarks and its tributaries, the Osage River below U.S. Highway 54, and on Truman Lake and its tributaries — no person shall continue to snag, snare, or grab for any species after taking a daily limit of two (2) paddlefish. Once two legal paddlefish are caught they are to be retained by the angler and included in their daily limit. Once you’ve taken your second fish, you are done snagging for the day. Unless, exempt, anglers must possess a valid fishing permit if you are snagging or driving the boat used for snagging. Extracted paddlefish eggs may not be possessed while on the water or adjacent banks and may not be transported. Paddlefish eggs may not be bought, sold, or offered for sale. Do not clean paddlefish while you are on the water. The head, tail, and skin must remain attached to all fish that have length limits while those fish are on the water. In 2013, Conservation Agents broke up an international paddlefish-trafficking operation in Warsaw. This group of poachers stole a lot of fish from legal snaggers. We aren’t sure what effect that this illegal activity has had on Missouri’s paddlefish population. If you see or suspect illegal snagging activity, please report it immediately. Your identity will remain anonymous, and a reward is possible depending on successful prosecution of the case. Visit our Operation Game Thief page for more details. MDC maintains the paddlefish populations in Truman Lake, Lake of the Ozarks, and Table Rock Lake with annual stockings of fingerlings from MDC’s Blind Pony Hatchery. It takes paddlefish seven to eight years to grow to legal size. In 2016 more than 314,000 foot-long fingerlings were stocked – MDC’s largest stocking of paddlefish. These fish will be large enough to harvest beginning in 2023. In 2018 more than 78,000 fingerlings were stocked, this is twice the normal stocking. As these fish grow snaggers will catch a lot more sublegal fish. It is extremely important to release all sublegal fish unharmed immediately and gently because they are the fish that you will be harvesting over the next several years! The Code states that sublegal paddlefish must be returned unharmed immediately after being caught! Take care when removing hooks, and get the fish back into the water as quickly as possible. Be sure that your hands are wet before handling, and avoid excessive handling. Do not pass fish around for photos. Hold fish firmly to avoid dropping them, and never put your fingers in the gills or eyes. Using a gaff to land paddlefish can injure or kill sublegal paddlefish, making you subject to a penalty. Use a large net to land all paddlefish safely.